This is a picture from a few years ago. When I visit my mum’s house in Maitland, I often get up at dawn to see the sun rise over the St. Lawrence River. I was looking for a picture from my trip to Spain in March a few years ago with my eldest sister, Jane. I looked through the camera roll on my old ipod, which I thought I had with me in Spain. This was one of the first, i.e. oldest, pictures on the device…sadly no images of Spain were to be found, but I do love a pretty sunrise. 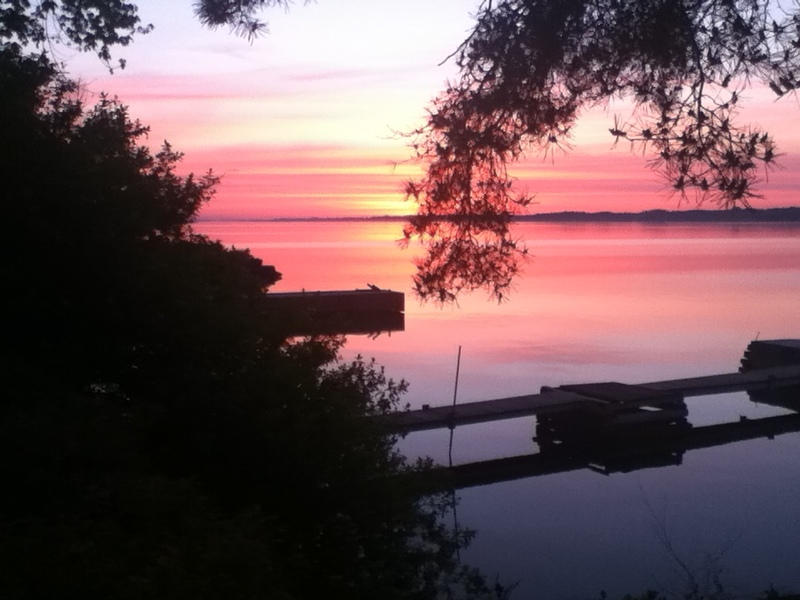 This entry was posted in Uncategorized and tagged Macdonald Tartan, MacIntosh Tartan, St Lawrence River, sunrise photo on March 26, 2015 by gillianknitter. Shriek, lol, thanks for the nod! I can’t believe the work in both of these tartans!!! They’ve held up really well! 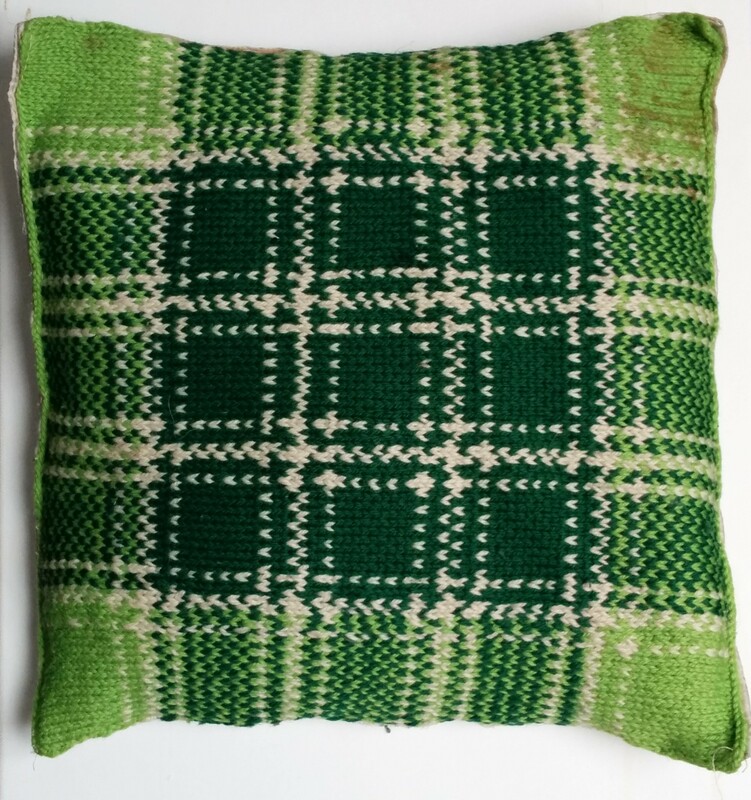 I wrote out a design for a Moffatt modern tartan a few years back. 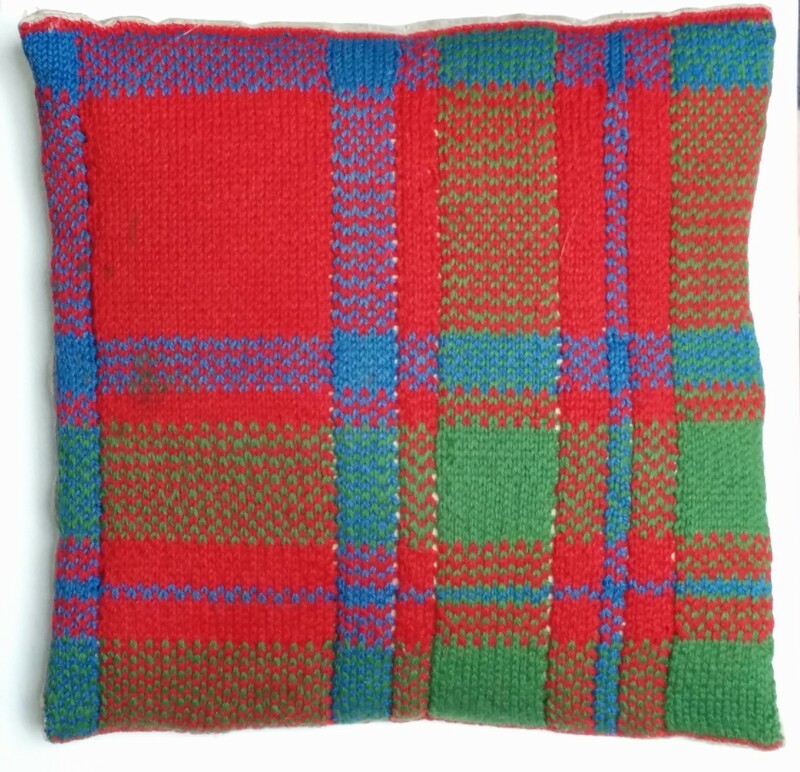 Now that I’ve seen yours, I am rethinking designing one of the MacMillan tartans from my husbands’ clan…its just hard to pick which one is my favourite. My fav is a toss up between ancient dress and modern. He tells me as I type this, that his fav is weathered ancient….so decision made! I LOVE the tartans! They are wonderful. The sunrise is nice too!